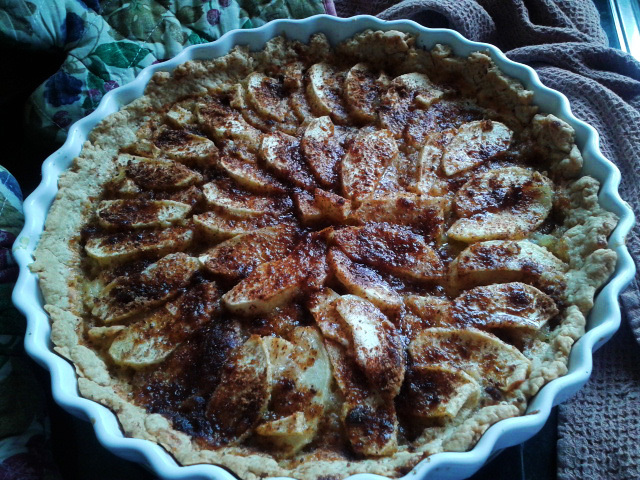 Apple tarts, you have my heart. um, the dessert I hold dear? Poems perhaps aren't my forte. For a big family barbecue, the first of many this year I'm sure, I wanted to make a desert everyone would like - not the easiest task with 'everyone' being from my younger cousins to my great aunts (who had come over from South Africa). But this apple tart seemed to do the trick! So if you want to recreate this because, I can assure you it tastes bloody good! 1. Combine the Flour and Butter in a large bowl. It should look like breadcrumbs. 2. Add the Milk and Vanilla extract to form a soft dough. 3. 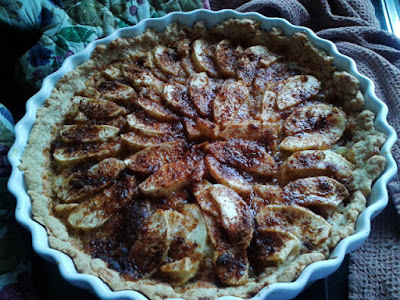 Carefully roll out the dough and place in a tart dish, pressing lightly into the sides. 4. Mix in the Flour and Cinnamon. 5. 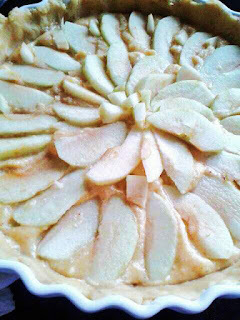 Spread the frangipane evenly onto the tart pastry. 1. Arrange the Apple slices onto the frangipane, pushing the first layer of apples through the frangipane onto the base of the tart. Then add another layer of slices directly on top of the first. 2. Mix together the Cinnamon and Sugar and set aside. 1. 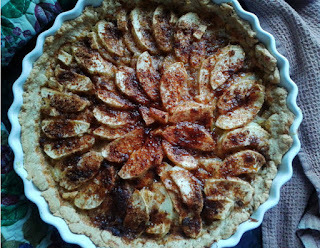 Bake the tart for 15-20 minutes, or until the frangipane browns, at the temperature setting mentioned above. 2. Then reduce the temperature to and bake for another 15-20 minutes. 3. 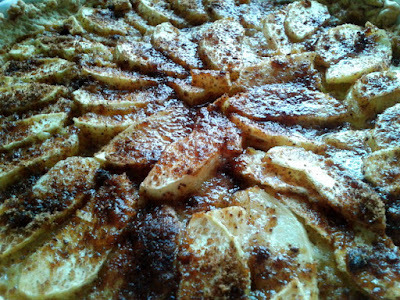 Take the Cinnamon and Sugar mixture you set aside earlier and sprinkle it over the tart about 10 minutes before the end. Serving suggestion; Would be absolutely perfect served warm with cream of some sort; whipped cream, crème fraiche or dollop of ice cream, yum! With some vanilla ice cream... nom, nom! ;D Baking it for my little family as well sometimes. So delicious!!! <3 Hope your family did like it too? !